Currently AMD makes GPUs for PCs and embedded devices. AMD sold its mobile graphics division in 2009 to Qualcomm, which uses the technology in a mobile GPU called Adreno, an anagram of Radeon. But it looks like AMD might be looking to get back into the mobile GPU market. The company is open to making a graphics processor for mobile devices based on its Radeon product line, but only in select circumstances. AMD could make a mobile GPU as part of a partnership or a licensing deal, but otherwise has no active plans to build an end product for mobile devices. With AMD trying their hardest to improve power efficiency, a prime example being the newly unveiled Polaris architecture which offers a 2.5 times increase in performance per watt over the 28nm process of the last generation. However Qualcomm has already switched to 14nm FinFETs with the Adreno 530 GPU, so any increase in performance will have to be through architecture. AMD is probably the only company in the world right now that can offer a better GPU package than Qualcomm for mobility purposes. However though, as Raja Koduri has stated, AMD is not looking to do anything without a partnership or licensing deal. 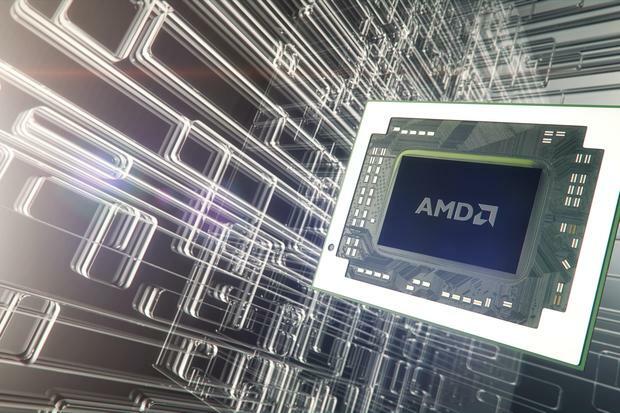 AMD has already proved they work well making custom chips, having multiple partnerships already with Xbox One and PlayStation 4, AMD has already shipped more than 50 million custom APU solutions. It's apparent that AMD likes partnerships and profits off of it. The likes of a partnership agreement or long term custom chip agreement are relatively unlikely in the mobile GPU market. Still though AMD’s architecture has a few strengths that could be desirable to a big mobile player in the future, but until that happens, AMD will keep the door open for prospective customers.